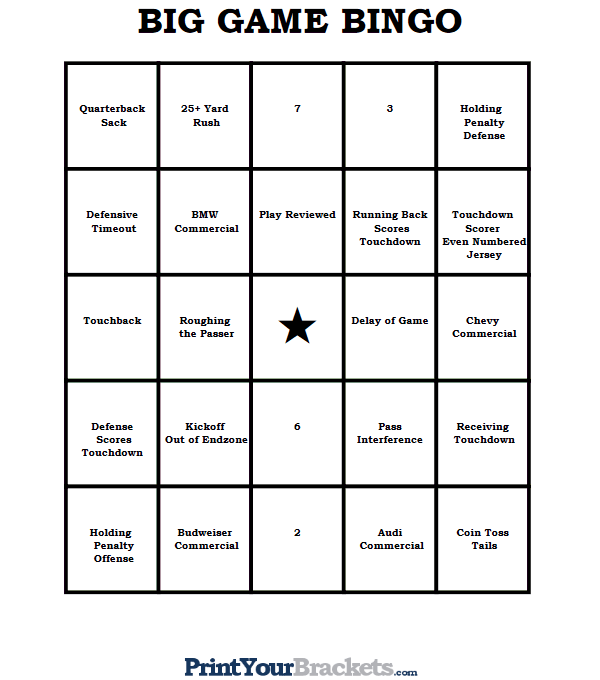 Below you will find two different styles of our Super Bowl Bingo Cards. The first uses images and has 10 unique versions, the second uses text and has 100 unique versions. 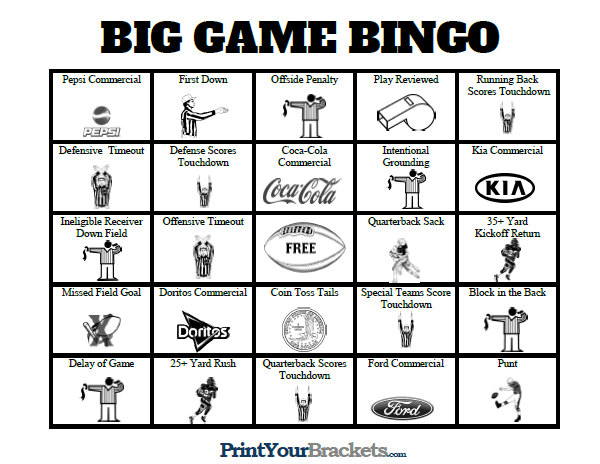 The boards are made up of various events that can happen during the game, such as penalties, commercials aired, certain players scoring touchdowns ect.. To win the game simply follow normal bingo rules. 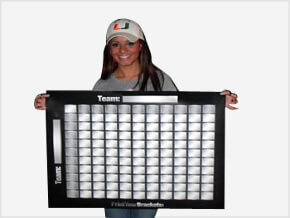 Check out our Super Bowl Party Games, for other games to play at your party. Super Bowl Bingo Card Generator! Check out our Super Bowl Sudoku Games! 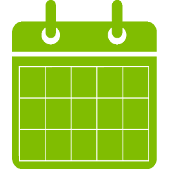 You can also load each board individually by clicking the links below. Our unique Super Bowl Bingo Cards are sure to keep your party guests entertained. 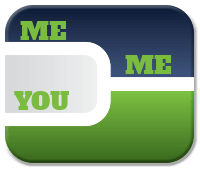 Simply hand out a card or multiple cards to each person at your party. 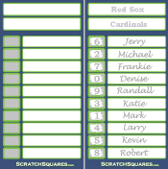 If you would like to design your own cards try our Super Bowl Bingo Card Generator where you can add text and change colors. The winners of Super Bowl Bingo are determined by using normal bingo rules. The first person to cover a vertical, horizontal, or diagonal pattern of five grid spaces on their card wins. If you would like to have more than one winner you can use various winning patterns, such as the 4 corners or the"X" pattern. The numbers you see on these boards will represent the last digit of either team's score at any point during the game. Participants are to only mark off the number zero if a team scores 10, 20, 30 ect.. They do not get to mark off their zero at the beginning of the game. Below are a couple of examples. Example 1: On the first drive of the game a touchdown is scored, before the extra point is kicked the score is 6-0. Any person with the number 6 can mark off that square, then once the extra point is made any person with the number 7 can mark that square off. Example 2: The next time down the field the same team scores another touchdown, making the score 13-0. Participants would cover the last digit of 13, which is 3. Then once the extra point is made for a 14-0 score, participants would cover the 4(last digit of 14).